Google has just released two new applications for all Android devices – Orkut and Google Buzz Mobile as a a widget. Â Interestingly, while Orkut Â may only be popular among in Brazil and India, this won’t stop Google from giving the site its own Android application. Besides there are probably thousands of Android phones in those two countries. Or perhaps with an Android app, Google hopes to get new members for Orkut. The Orkut Android app is a pretty simple mobile social networking app which lets you keep in touch with your Orkut friends through live folders, photo uploads and scrap notification. Live Folders lets you add the list of your Orkut friends as a live folder on your home screen letting you browse through the list even when your not under data network coverage. 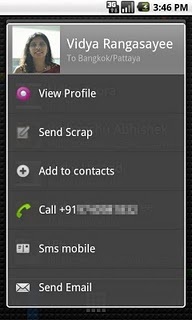 Â The app also lets you directly upload photos from your Android gallery to your Orkut photo gallery. 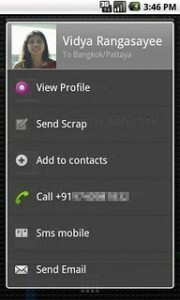 In addition, the Orkut Android app also lets you receive notifications whenever you have new scraps on Orkut. This notification appears on your Android device notification bar and clicking on it will take you to your scrapbook page in Orkut. The other application is Google Buzz for Mobile which was made available fairly recently. But for this update, you can now add Google Buzz as a widget on your Android phone’s homescreen. Â As a widget, Google Buzz lets you choose to tag your posts with the lcoation or place from which it was posted. It also lets you post buzz anytime, anywhere as well as share photos of where you are right now.